Now that urban greening is increasingly seen as a climate adaptation strategy, the question is how to best provide the necessary green space. Where, at which scale, and what type of greenery? Which design is preferred? And how can municipalities increase public support for green adaptation measures? To find answers to these questions, we need to investigate local needs. This story illustrates residents’ needs in two different neighborhoods in the Dutch architectural and cultural capital, Rotterdam. In two typical residential neighborhoods (see boxed text for a description), the one “greener” than the other, we interviewed 200 residents about their experiences with urban heat and local flooding. The underlying study can be found here. We found that residents are more aware of present-day heat waves, but more alarmed by future flooding. The prospect of increasingly frequent and extreme rain events that cause traffic jams, block streets, and flood basements is apparently considered a greater risk than a rise in heat waves that pose serious health risks to vulnerable groups such as children and the elderly, even though, at present, Rotterdam residents indicate that they suffer more from heat than flooding. Shuaib Lwasa found a similar difference in risk perception between heat and flooding in Kampala. This apparent contradiction may be explained by the difference between individual and societal problems, and the related ability of controlling these: whereas heat can largely be dealt with on an individual level (e.g. regulate indoor temperature), the consequences of flooding are much more difficult to regulate by oneself and therefore set off more alarm bells. One thing that heat and flooding have in common is that both are typically observed at stony, impervious locations: streets, parking lots, city centers. The city’s sealed and built-up surfaces are clearly most prone to climate impacts. Talking to residents, it becomes clear that the impacts are not limited to those spaces that are under public control (streets, sewage system) but are also felt at the smallest urban scale level: people’s homes. During the interviews, residents told how their basements would flood during heavy rains, leading to financial damage. In several streets, slight differences make houses on one side of the road vulnerable while houses on the other side are not. The measures that people take to protect their homes mostly serve to block the water from seeping in through roofs and walls, or to redirect the water before it reaches the house by constructing, for example, a drainage pipe 30cm below street level in front of the house. Up to now, few residents have implemented green measures, such as a green roof or rain garden, to increase local infiltration capacity. People are aware of urban heat and flooding and consider these serious future challenges, but do not always realize how greenery may support climate adaptation. 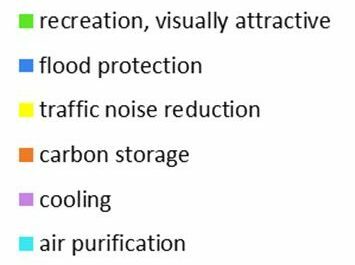 We asked residents to name the two most and two least important benefits related to six different green space types (see figure). Green space benefits with a more direct effect on people’s health and well-being, such as recreation and air purification, are better understood than less direct benefits, such as temperature regulation. 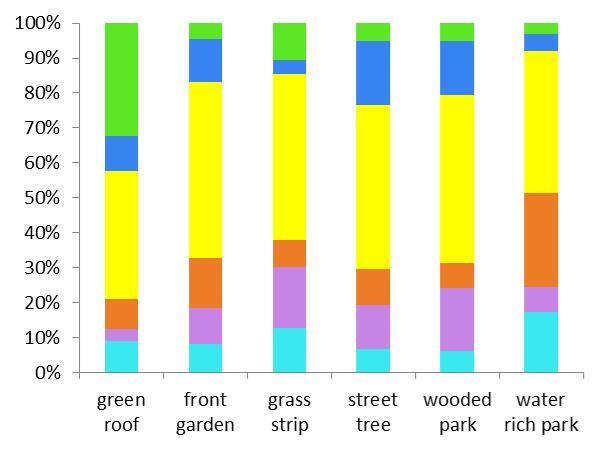 Traffic noise reduction was considered the least important benefit of each green space type. We also enquired about residents’ preferences for different green space types. Overall, people prefer large-scale greenery such as city parks, especially those with a woody character. Parks with large water bodies are also favored, followed at some distance by street trees and then by gardens. Green roofs and grass strips are not very popular, although green roofs grew in popularity for people living in areas with a larger share of vegetation cover. This does not happen for grass; even in areas with limited grass cover, people preferred trees or green roofs. The reason why people do not seem to like grass is because it is easily littered and attracts dogs. 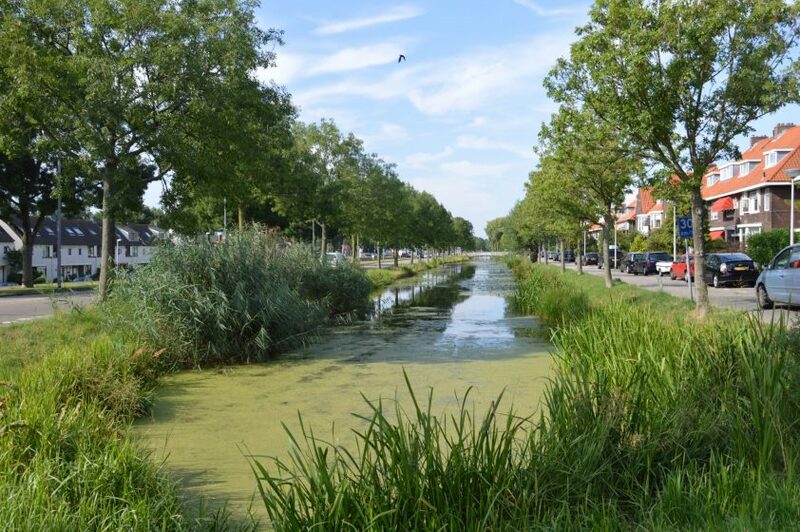 In collaboration with Rotterdam municipality, we compiled a set of green climate adaptation measures from which residents could select their preferred options. 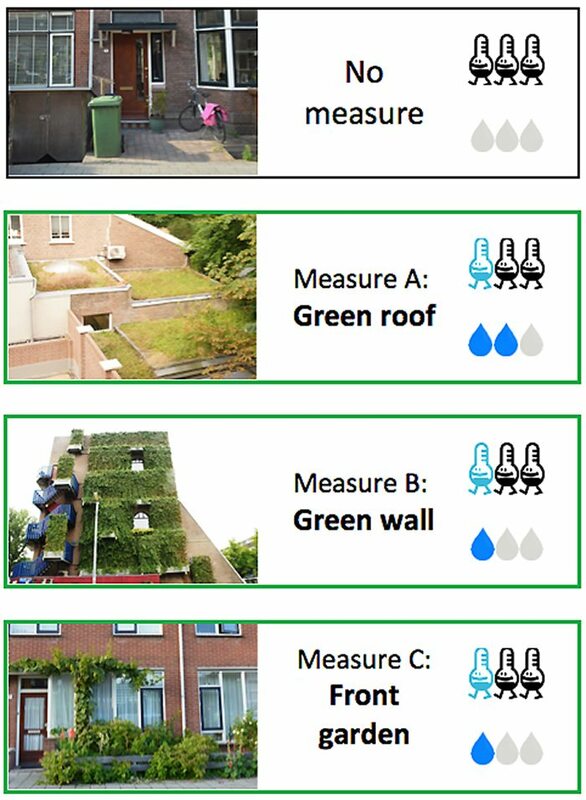 For each scale level (home, street, neighborhood square, main road, city park) residents had three alternatives to choose from, e.g., for “home”, residents could choose between a green roof, green wall, and front garden. For “main road”, participants could choose between trees, a canal, and a grass strip (see image). Half of the 200 interviewed residents were shown symbols that conveyed information about climate regulation benefits: thermometers indicating cooling capacity and water drops indicating flood protection capacity. This way, we could assess whether residents’ preferences for adaptation measures are influenced by additional information about their effectiveness. Comparing the two neighborhoods, it becomes clear that they have quite different demands, illustrating that green adaptation measures need to be tailored to preferences on the neighborhood level. Whereas the first neighborhood prefers accessible greenery that can be used for leisure, sports, and play, such as gardens, playgrounds, grass strips, and recreational parks, the second neighborhood chooses trees, streams, wooded parks, and green walls and roofs. Such differences are related to demographic factors but also to the locally available greenery. Generally, diverse, aesthetically attractive, and familiar greenery is preferred over green space that is rather simple or unfamiliar, like some of the suggested adaptation measures may be. The water plaza, for example, is a relatively new element in Rotterdam’s streets, designed to store peak flow during heavy rains and serve as a sports court when dry. Likewise, green walls and roofs are not so common yet, and we noticed that residents can have doubts about such greenery, often related to their maintenance. 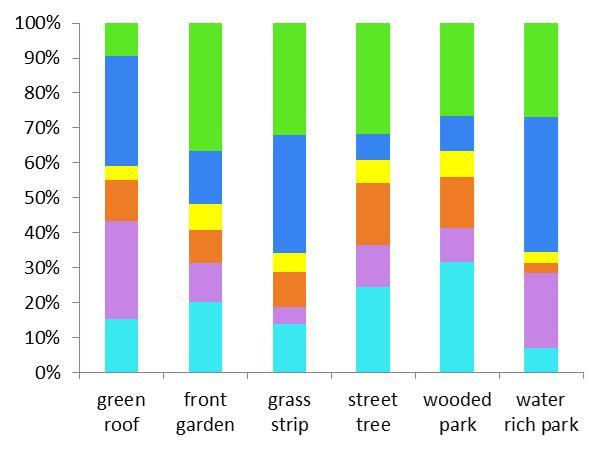 We found that the use of informational symbols influenced residents’ preferences: when citizens are informed about the climate adaptation capacity of different measures, their preferences shift towards the most effective options. Thus, providing information about the reason why investments are made for certain green space designs can increase public support for adaptation measures. From the stories and opinions expressed by local residents, some important lessons can be learned and applied in urban green space planning. First, green measures need to be tailored to local needs. The case of Tarwewijk neighborhood illustrates this. Residents of this grey and stony neighbourhood encountered more heat and flood prone locations, experienced more personal problems (often health-related—see Chris Garvin’s piece for a discussion on climate related health risks) with climate impacts, and more often acknowledged climate benefits of green space. This may lead to the conclusion that Tarwewijk residents would easily accept the most effective adaptation measures. However, when asked for their opinion, residents prioritized functional green space that can be used for leisure, sports, and play much more than in Kralingen-West neighbourhood, where residents expressed a preference for natural greenery. City planners need such nuanced information to design adaptation measures that are effective but also fit the local context. Second, we learned that talking and listening to residents is key to designing green space strategies that fulfill needs from both user and climate adaptation perspectives. Knowing that residents worry most about flooding and air pollution, urban planners can prioritize these issues and in their communication, stress how new greenery helps to mitigate these problems. Designing productively also works the other way around: by informing residents about the climate adaptation effectiveness of different green measures, municipalities can influence the way people think about and increase support for the most effective designs. Increased green cover and accessibility stimulates residents’ contact with nature and its processes, subsequently facilitating environmental learning and private (e.g. green roof installation) or communal (e.g. neighborhood garden) action. Third, residents prefer large-scale greenery over small-scale greenery. New greenery is often small-scale out of necessity, since it needs to fit into the existing urban fabric: green roofs and facades are ideal solutions from this point of view. Given that, in newly built neighborhoods, the plans mostly include smaller structures such as grassy road verges, canals, and street trees, such small-scale measures are absolutely needed to fulfill local demand. But planners should keep in mind that cities also need iconic parks that shape city identity and act as pillars of ecological and cultural structures. Fourth, residents need to be better informed about the risks related to flooding and, especially, heat waves. Although residents are well aware of temperature differences within the city, they do not consider heat waves a major risk for the future city. They do worry about future flooding. On the one hand, residents trust that the authorities will take care of dealing with climate impacts; on the other hand, they are not sure how this will happen. Both parties would benefit from an awareness campaign, especially if it is targeted at vulnerable groups. 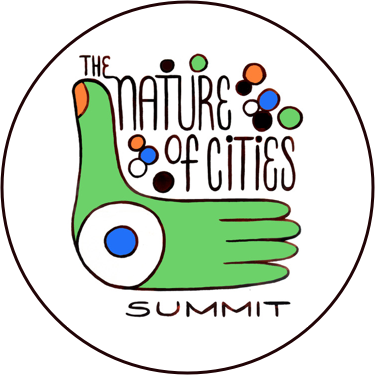 Taken together, there is no one-size-fits-all solution for using green infrastructure to mitigate the impacts of climate change in cities. But municipalities would benefit from a green space strategy that assesses needs, creates designs, and evaluates outcomes on a neighborhood level. Where green space is sparse, a first priority may be to provide greenery designed for recreational purposes. Where green space is already in place, new greenery can have a more natural character. This does not mean that green-poor neighborhoods should be equipped with the least effective adaptation measures (playgrounds, sports fields) and green-rich neighborhoods with the most effective measures (woodlands), but that designers keep an eye on the degree of usability. By nature, this includes communicating with residents. The underlying study was published in Landscape and Urban Planning. I just now came across your article. Very interesting approach to engage residents! I wonder aftermore than a year of publishing it, could you observe any changes in the area? Hi Kati, thanks for taking the time to read. Your question addresses a fair point. 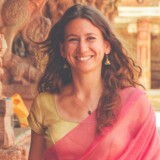 Initially, only ‘recreation’ was included in the list of green space benefits (the list of six is based on an earlier paper, see http://onlinelibrary.wiley.com/doi/10.1111/1365-2664.12469/abstract). One reason to group recreation together with visual attractiveness, is related to the different green space types covered in the study. I wanted to capture cultural services next to regulating services, and while recreation is commonly understood to take place in a park this is not the case for a private garden or street tree. These green space types are more commonly seen as being visually attractive. So the choice to use both concepts in one variable helped dealing with the variety in green space types. Another reason is that during the pilot interviews it turned out that many respondents interlinked recreation and visual attractiveness, maybe because both are understood as a reason to visit or enjoy while the other listed green space benefits are less directly of use. I agree with you that the two concepts are different from each other and render different preferences, e.g., for green space design. Visual attractiveness can be a major reason for people to choose where to recreate, but is definitely not the only one. During interviews I had with urban park users in Sao Paulo, Brazil it became clear that safety, the range of amenities and the quality of infrastructure for sports and play are other important reasons. 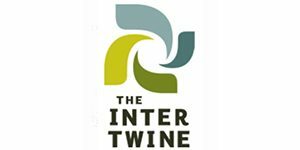 Taken together, it mostly tells us that it is crucial to talk to residents and different user groups if you want to understand their needs and use their input to design green space policies. Very interesting research. Thanks for sharing with us. I will definitely read a scientific paper also. In your figure you included recreation and visually attractive as one variable, but did you ask these benefits separately during your interview? I think they can refer to very different preferences.